If you’ve tried shopping for books online, you probably have seen labels like “paperback” and “mass market paperback.” Many people think they are the same, but these two classifications are actually completely different. So, what sets them apart from each other? This article will focus on the difference between a paperback and a mass market paperback book. Can be bought from bookstores, book dealers, distributors, and resellers Usually found near the checkout lanes in drugstores, supermarkets, airports, etc. The term paperback refers to “trade paperback” or “trade paper edition.” Paperback books are typically printed as a softcover edition of a previously printed hardcover edition but can also be printed as an independent release (no preceding hardcover). They are priced lower than hardcovers, but often have the same pagination, type of paper, and illustrations as the hardcover edition. Some paperback books are even of the same size as their hardcover editions (5.5” x 8.5” or 6” x 9”), while others are slightly smaller. Nowadays, a paperback book can be identified by its “French flap,” an extension of the front and back covers that is folded over inside (similar to the paper cover of hardcover books). Its purpose is to make paperback books look similar to its hardcover edition but for a more affordable price. Often, books are released in advance in paperback and are sent to scholars and institutions for review and feedback. Paperback books are not “strippable.” This means that the front cover cannot be stripped by the distributors when they remain on the shelf after a long period. This means that if nobody buys them, the distributor simply returns the unsold books to the original publisher for credit. On the other hand, mass-market paperbacks are cheap, small editions of books (4” x 7”) that are printed on low-quality paper that may discolor over time. They have an inexpensive binding and are typically not illustrated. They are printed and promoted to attract a large number of people at the lowest cost. Mass-market paperbacks are sometimes called “pocket-editions” because they are small enough to fit in a pocket or handbag. They are usually found in locations that do not primarily sell books, such as convenience stores, pharmacies, gift shops, supermarkets, airports, etc. and are displayed among items near checkout lanes. The quality and price of mass-market paperbacks make them easy to buy on impulse and then discarded after reading by reselling or donating to charity. Mass-market books are “strippable.” This means that distributors can simply strip the front cover (or sometimes, the first few pages) and return them for credit. The rest of the book should be shredded and recycled and should not be resold. Some new authors and self-publishers publish their first books in mass-market paperback format only. Genres that are often printed in the mass-market paperback format are fiction, romance, thriller, and mystery. What, then, is the difference between paperback and mass-market paperback? Paperback books are printed on high-quality paper and usually have the same illustrations, size, and pagination as their hardcover editions. They have soft covers and may sometimes have a “French flap.” They are more affordable than hardcovers but are more expensive than mass-market paperbacks. They are printed in order for the readers to have the same reading experience they have with hardcovers but without the heavy cover. Mass-market paperback books, on the other hand, are printed on low-quality paper. They are significantly smaller and more affordable than paperbacks. They do not have a “French flap.” The printing of mass-market paperback aims to make the widest distribution at the lowest cost. They can also be bought on impulse because of the price. Paperback books can be bought from bookstores, book dealers, distributors, and resellers. If they remain unsold after a certain period, the resellers simply return them to get full credit. Conversely, mass-market paperback books are usually found near the checkout lanes in drugstores, supermarkets, airports, etc. 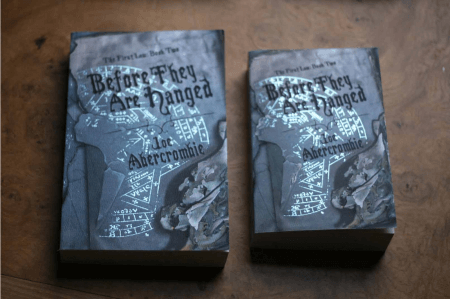 If they remain unsold, the front cover (sometimes including the first few pages) is stripped and returned to the original publisher for credit. Additionally, a paperback book can be printed without a preceding hardcover. The copies that are sent in advance to scholars and institutions for review are often in paperback format. New authors and self-publishers of fiction, romance, thriller, and mystery books often publish their first works in the mass-market format, which may or may not be followed by a hardcover or paperback edition.